According to the American Red Cross, having a working fire alarm installed on a property decreases a person’s chances of perishing in a fire by nearly half. Yes, when it comes to inventions that have saved lives over the years, you’d be hard-pressed to find something as significant – outside of the medical arena, at least – as the fire alarm. There’s good reason why every floor of the home or office should have at least one fire alarm or smoke alarm installed on it. There’s also good reason why the batteries on said devices should be checked at least twice a year. 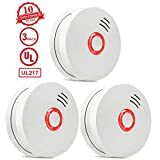 Fire alarms, simply put, save lives by giving occupants advanced warning of a fire or potential fire, thereby allowing them to seek safety before things escalate within the structure. The very first fire alarm’s roots date all the way back to the mid-1850s. Specifically, it was in 1852 when Dr. William F. Channing, along with Moses Farmer, designed the very first fire alarm on record. It wasn’t anything high-tech. In fact, by today’s standards, it was practically nothing. Basically, Channing and Farmer’s design consisted of a two firebox setup that included a telegraphic key and a handle. When someone within the premises detected a fire or the risk of a fire, they’d race to the handle and crank it. Doing so would send a message to a central control station, where an operator would receive it and relay it along to the fire department to respond appropriately. Yes, there wasn’t much too it, but you can’t downplay the significance of what Channing and Farmer’s early concept would eventually evolve in to. The fire alarm advanced rather quickly, as Francis Robbins Upton developed an electric version of the device in 1890. Surprisingly, fire alarms in general weren’t well received by the public at first. But as we noted in the beginning, when fires began to happen more regularly and death tolls began to increase as a result of them, it became increasingly apparent that there was a market for this sort of a device. Now, the fire alarm should be a staple in any facility, residential and commercial. 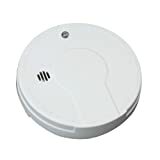 What’s more is that today’s advanced fire alarms are also often incorporated within security systems to offer homes and businesses a comprehensive, thorough safekeeping solution from both theft and fire. It’s the one-two punch that many property managers and homeowners are looking for when it comes to peace of mind. 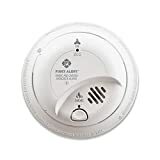 According to the NFPA, roughly three out of every five home fire deaths were because the residence didn’t have either a fire alarm or a working fire alarm on the property. Noting this, you can see just how important the fire alarm is to keep your property and your occupants safe. For more information on fire alarms and home security systems, and to get a free estimate on the services we provide, contact Protect America today. According to the NFPA, roughly three out of every five home fire deaths were because the residence didn’t have either a fire alarm or a working fire alarm on the property.